1,234 stock photos, vectors, and illustrations are available royalty-free. Money and payment line icons. Vector linear icon set. Device line icons. vector linear icon set. Law and judgement line icons. Vector linear icon set. Business and office related line icon set. HR and structure line vector icons. 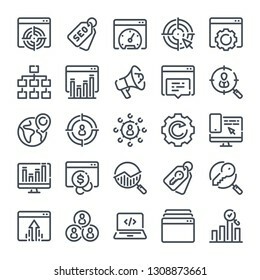 Seo and Marketing bold line icon set. Data organization and Development linear icons. Search Engine Optimization outline vector sign collection. Meat and sausage related line icon set. Cloud data and technology line icons. vector linear icon set. Party related line icon set. Event vector icon collection. 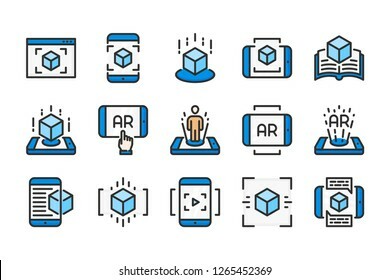 Augmented reality related line icon set. Interactive simulation linear vector icons. Server and technology line icons. Vector linear icon set. Graph and chart related flat icons. Statistics, growth and pie chart icon set. Stats and diagram vector illustration. Water color line icons. Liquid vector linear colorful icon set. Isolated icon collection on white background. Chat and message related line icons. Speech bubble and dialog box vector linear icon set. Isolated icon collection on white background. Time and clock related line icons. Alarm and timer vector linear monocolor icon set. Isolated icon collection on white background. Energy related color line icons. Power vector linear colorful icon set. Isolated icon collection on white background. Cloud data and digital technology color line icons. Network service and data sharing vector linear colorful icon set. Isolated icon collection on white background. Business and Finance bold line icon set. Banking linear icons. Money, cash and payment outline vector sign collection. Web Development related line icon set. Marketing, SEO and content linear vector icons. Magic related line icon set. Magical stuff linear vector icons. Loan, tax and fees line icons. Vector linear icon set. Money and payment color line icons. 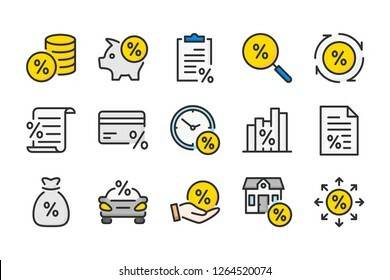 Finance and commerce vector linear colorful icon set. Isolated icon collection on white background. Real Estate related line icons. Apartment and property vector linear icon set. Message and Chat bold line icon set. Dialog and communication linear icons. Speech bubble outline vector sign collection. Server and technology color line icons. Backup and storage vector linear colorful icon set. Isolated icon collection on white background. Database related line icon set. Server and backup vector linear icons. Hosting and web storage icons on white background. Energy related line icon set. Power vector linear icons. Tree color line icons. Plant vector linear colorful icon set. Isolated icon collection on white background. Computer and web color line icons. Coding and web services vector linear colorful icon set. Isolated icon collection on white background. Chat and quote line icons. Vector icon set. Law and judgement color line icons. Justice vector linear colorful icon set. Isolated icon collection on white background. Development and settings related line icon set. Configuration and web service linear vector icons. Diagram and data chart line icons. Vector icon set. Artificial intelligence related color line icons. AI vector linear colorful icon set. Isolated icon collection on white background. Fabric layered materials related line icon set. Vector illustration. Vote line icon. Hand putting paper in the voting box. Weather and forecast line icons. Vector linear icon set. Computer cloud related line icons. Vector icon set. Testimonials related color line icons. Feedback and survey vector linear colorful icon set. Isolated icon collection on white background. Computer technology related line icon set. Data transfer and computer options linear vector icon collection. Team and business teamwork line icons. Vector linewar icon set. Web support and server connection color line icons. 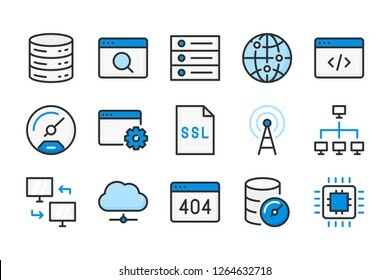 Database and web development web vector linear colorful icon set. Isolated icon collection on white background. Device color line icons. Сomputer technology and mobile devices vector linear colorful icon set. Isolated icon collection on white background. 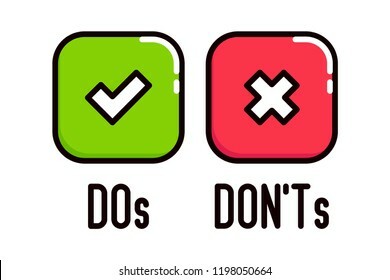 Do and Don't thumbs vector icons. Cloud data and service bold line icon set. Web hosting linear icons. 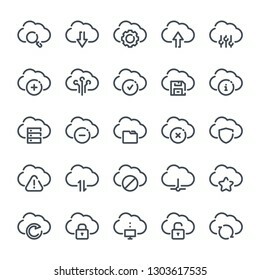 Cloud platform outline vector sign collection. 360 degrees view color line icons. VR and panoramic simulation vector linear colorful icon set. Isolated icon collection on white background. Document and file type line icons. vector linear icon set. Refrigerator related line icon set. Fridge vector linear icons. Time related line icons. Clock and watch vector linear icon set. Clock and time related line icons. Watch and stopwatch vector linear icon set. Movie and cinema related line icon set. Film and TV linear vector icon collection. Law and justice related line icon set. Fabric layered materials color line icons. Material structure vector linear colorful icon set. Isolated icon collection on white background. Finance and money line icons. vector linear icon set. Set of 100 icons for Ui and web. Vector line icons. Invoice and bill related line icon set. Contract, statement, utility and calculation signs. Vector illustration. Map location and navigation line icons. Vector linear icon set. Chart and statistics line icons. Vector icon set. People discussion related line icon set. Talk, dialog and speech linear vector icons. Support and call center line icons. Vector linewar icon set. 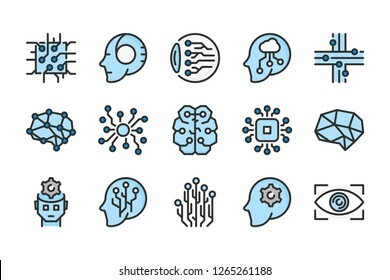 Artificial intelligence related line icon set. AI vector linear icons. Web Hosting related line icon set. IP, browser, host and website linear vector icons. Quality related line icon set. Сompliance with requirements linear icon collection. Approve and check vector icons. Eye and view line icons. vector linear icon set. Mathematical signs. 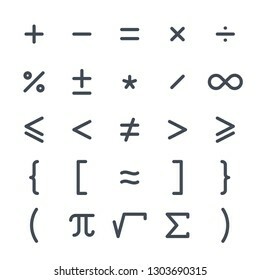 Math symbols. Vector icons for calculation. Review and feedback related line icon set. Rating vector linear icons. Chat and quote color line icons. 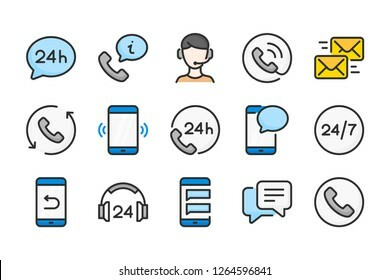 Speech bubble and communication vector linear colorful icon set. Isolated icon collection on white background. School and study color line icons. Education and learning vector linear colorful icon set. Isolated icon collection on white background. Data storage and database color line icons. 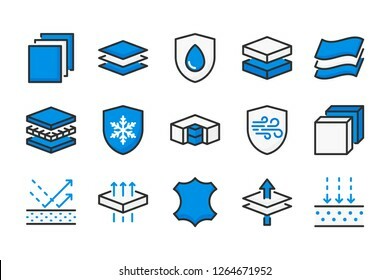 Information archive and cloud service vector linear colorful icon set. Isolated icon collection on white background. Search Engine Optimization bold line icon set. Website statistics linear icons. Target and traffic management outline vector sign collection. Do and Don't square box vector icons. Computer and web related line icon set. 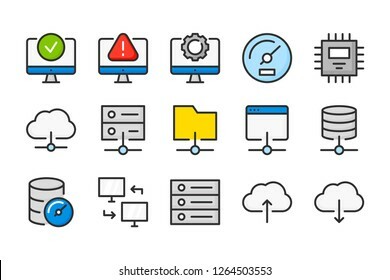 Server and cloud technology stroke icons. Calendar and schedule line icons. Vector icon set. Management related line icon set. Vector illustration. Cloud service and technology line icons. 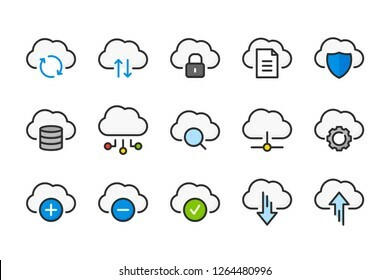 Cloud network and data vector linear icon set. Award and trophy line icons. Vector icon set. Augmented reality related color line icons. Interactive simulation vector linear colorful icon set. Isolated icon collection on white background. Emoji color line icons. Emoticon vector linear colorful icon set. Isolated icon collection on white background. Three type of glassws line icons. Empty, half and full filled glasses illustration on white background. Location and navigation color line icons. Map pointer and road way vector linear colorful icon set. Isolated icon collection on white background. Survey related line icon set. Checklist vector linear icon collection. Quiz and feedback report outline icons. Globe related line icon set. World linear vector illustration collection. Earth outline icons. Request color line icon. Proposal linear vector illustration. Color request for proposal outline sign with pen and check mark. Hosting related line icon set. Hand thumbs up line color icon. Vector illustration. Refrigerator related color line icons. Fridge vector linear colorful icon set. Isolated icon collection on white background. Real Estate bold line icon set. Home and apartment linear icons. Commercial property related outline vector sign collection. Support and callback service color line icons. Processing and online help vector linear colorful icon set. Isolated icon collection on white background. Loan, tax and fees color line icons. Investment and leasing vector linear colorful icon set. Isolated icon collection on white background. Server and network connection color line icons. 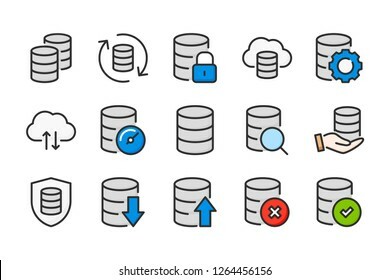 Database and synchronization vector linear colorful icon set. Isolated icon collection on white background. Statistics and diagram color line icons. Data chart and graph vector linear colorful icon set. Isolated icon collection on white background. Data protection related line icon set. 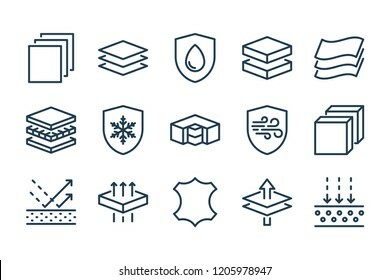 Cybersecurity vector linear icons. 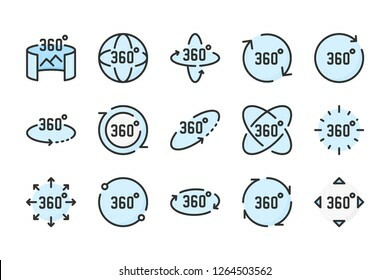 360 Degrees View related line icon set. Vector illustration. Cloud computing related line icon set. Computer system and Cloud service vector linear icon collection. Writing line icon. Edit line icon. Vector illustation.